OMEGA, GA (WTVM) - A south Georgia gas station had a window broken by a rogue animal. 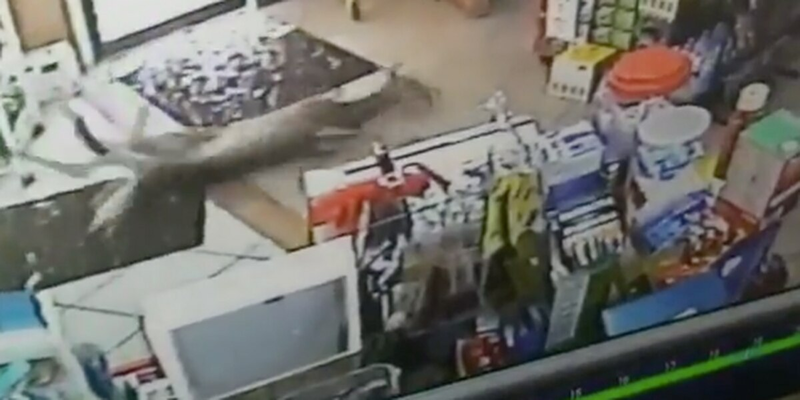 A deer came flying into the Citgo gas station in Omega, Georgia. The deer flailed around in the store for a bit before making its way out of the other door. The deer did manage to push the second door open on its way out. It is unknown if the deer was injured in this incident.